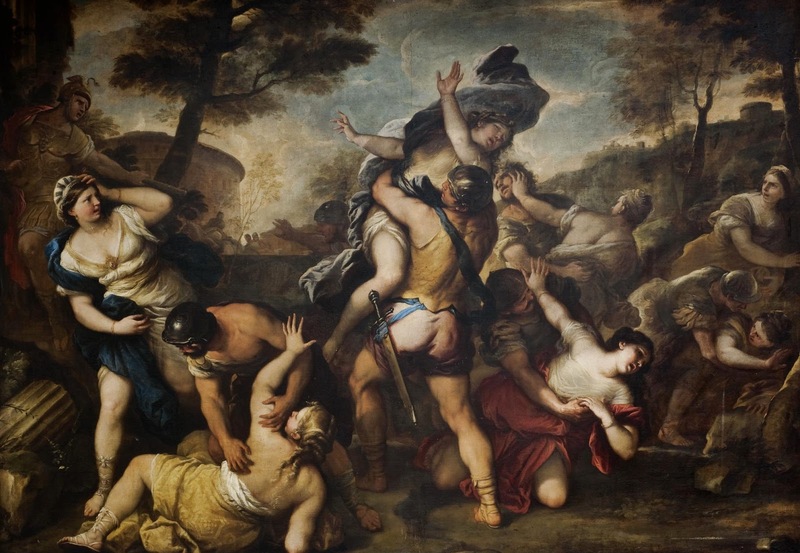 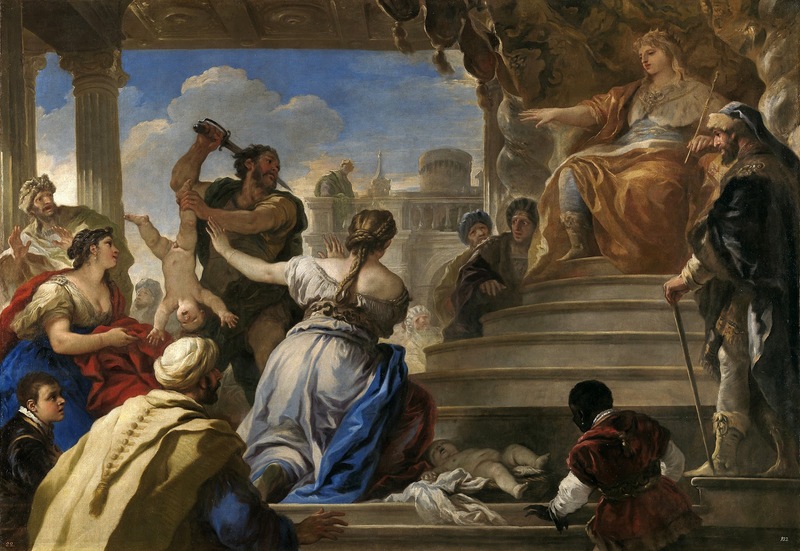 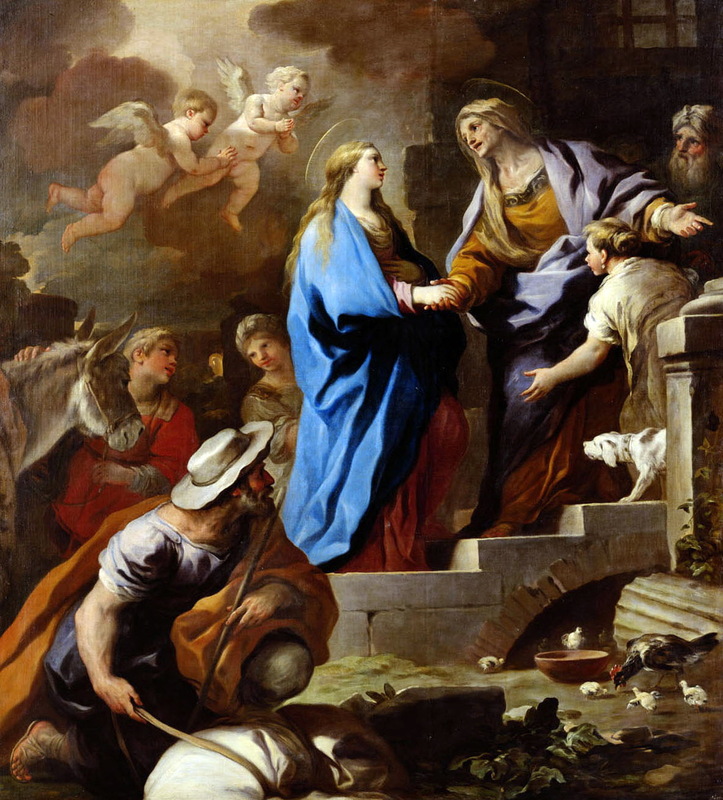 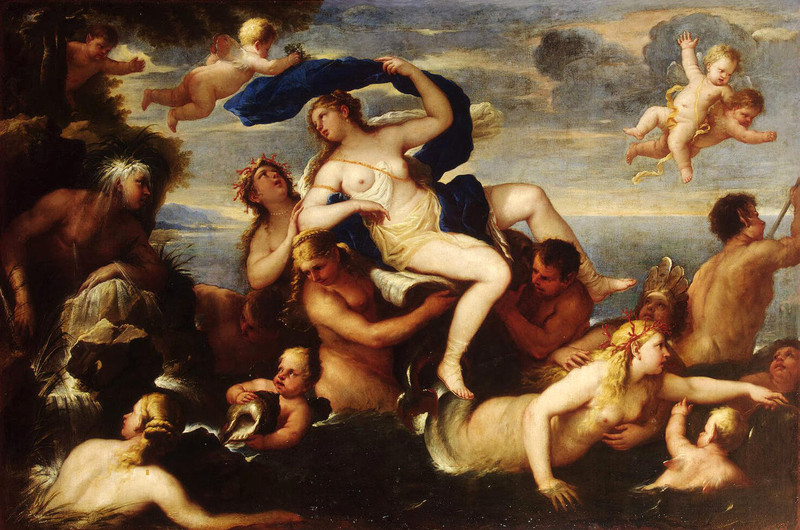 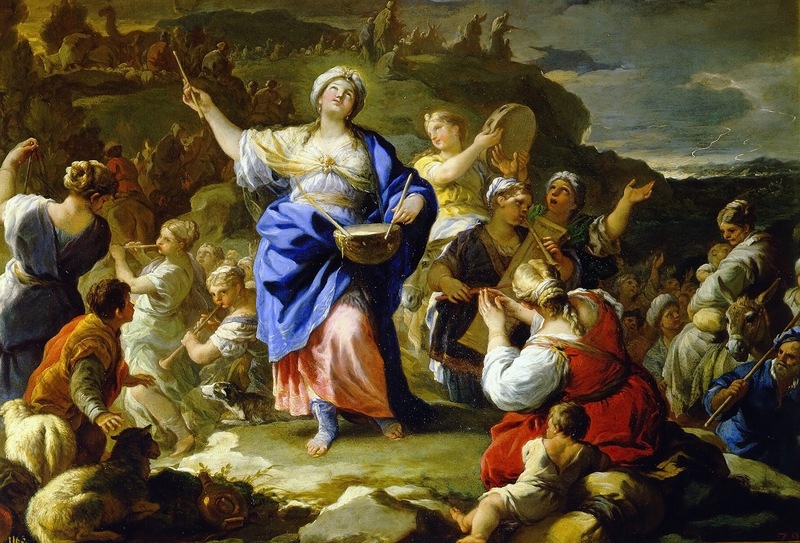 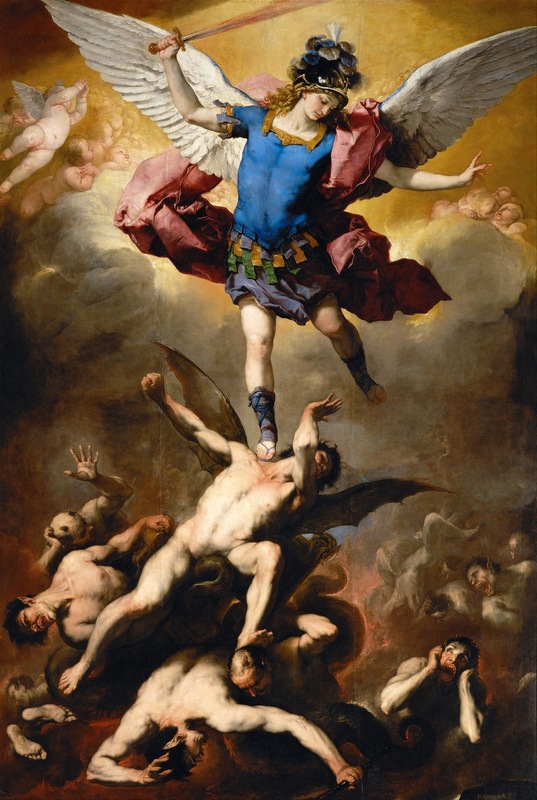 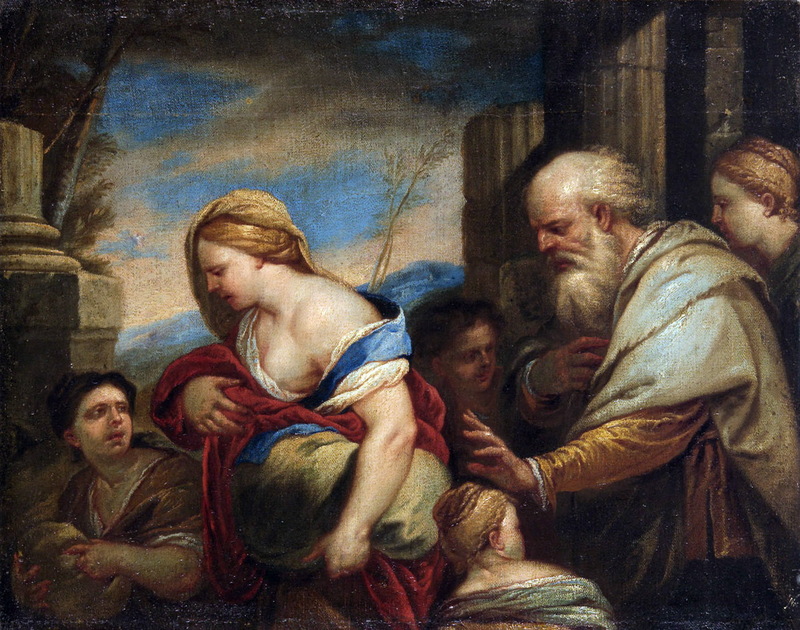 Luca Giordano** (1634-1705) was the leading Neapolitan painter** of the later 17th century. 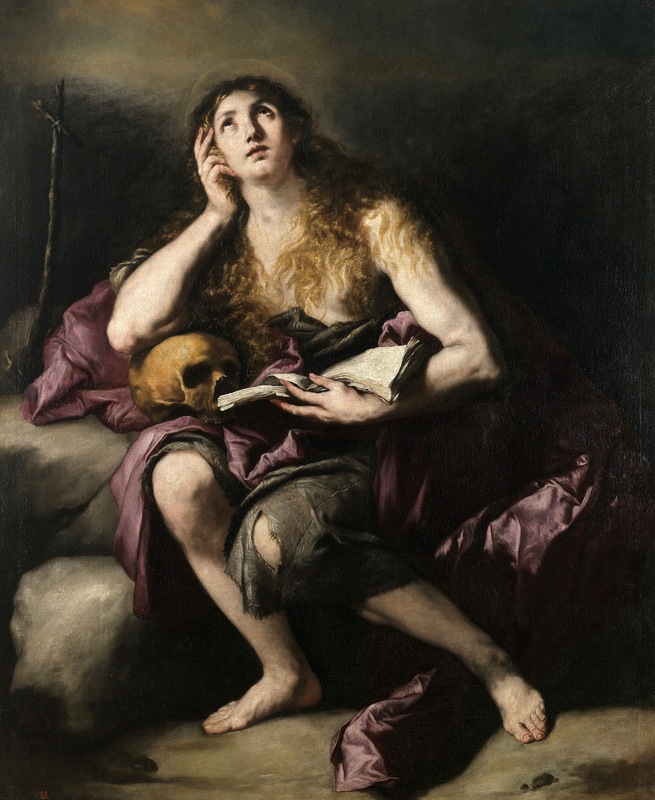 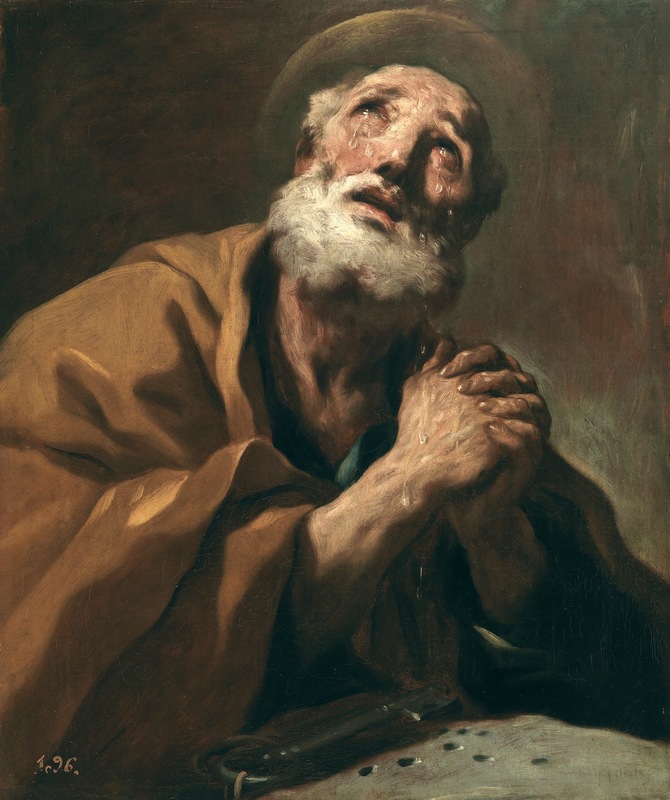 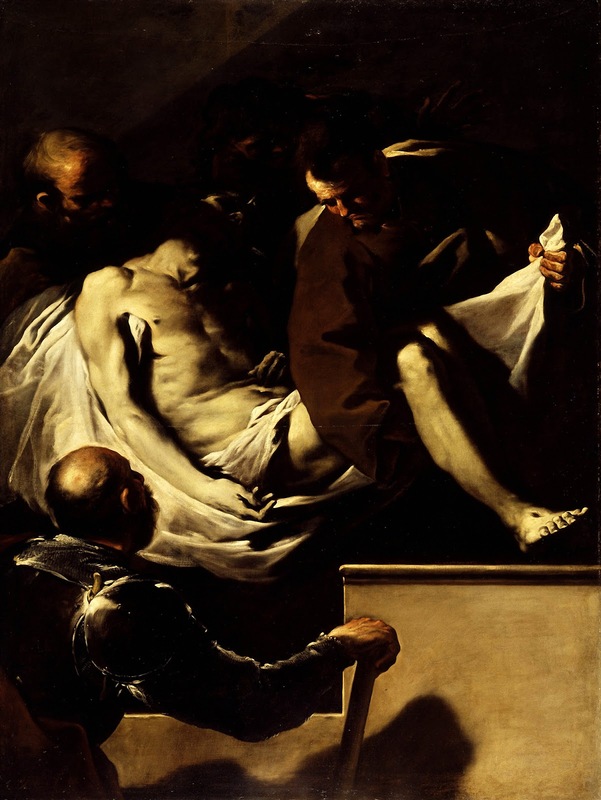 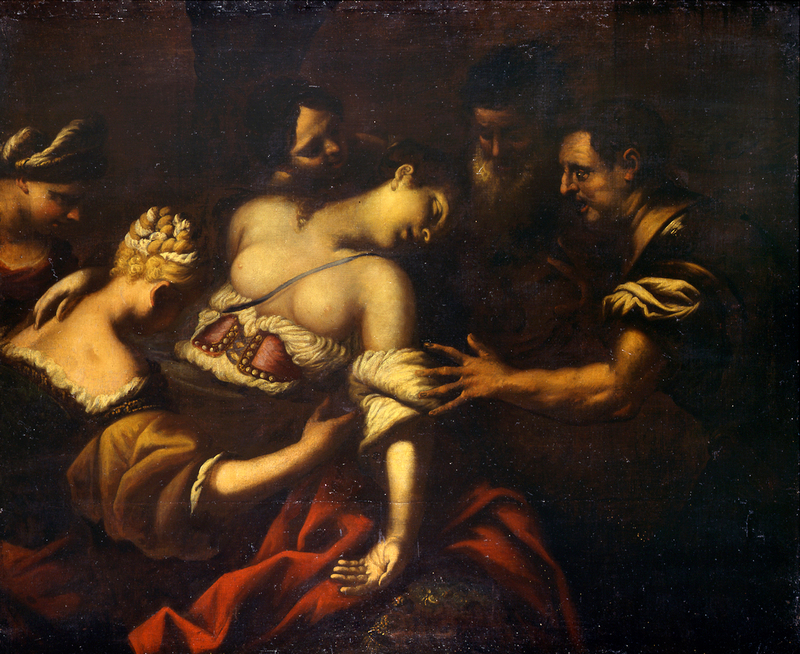 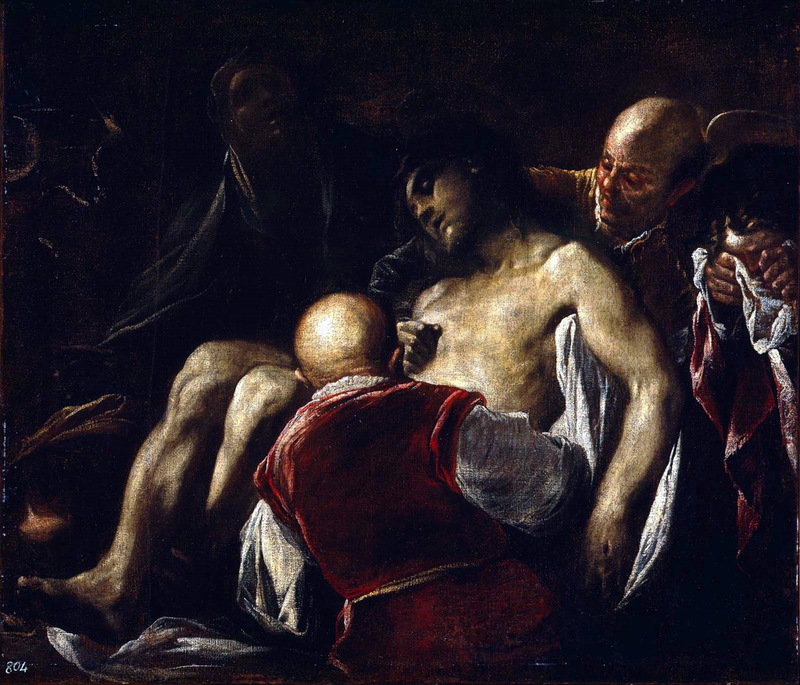 He was born in Naples and was trained by Ribera. 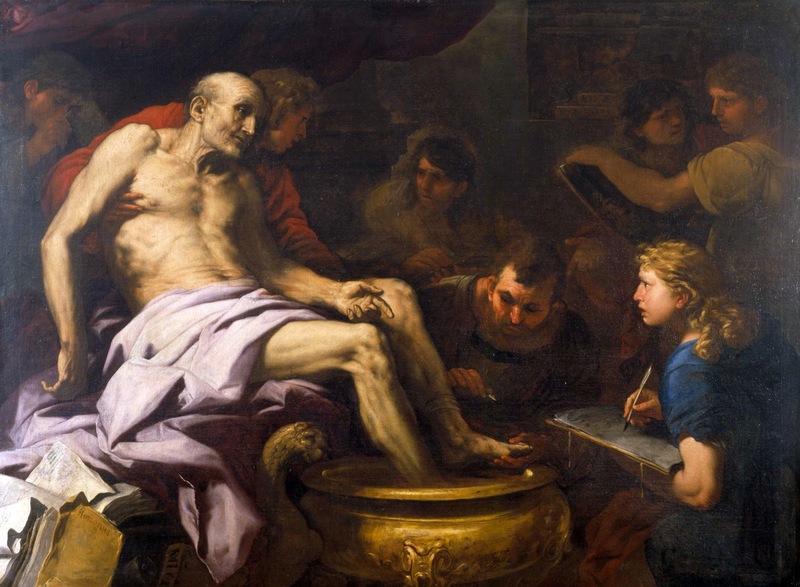 He was known as Fa Presto ('does it quickly') because of his speed of painting. 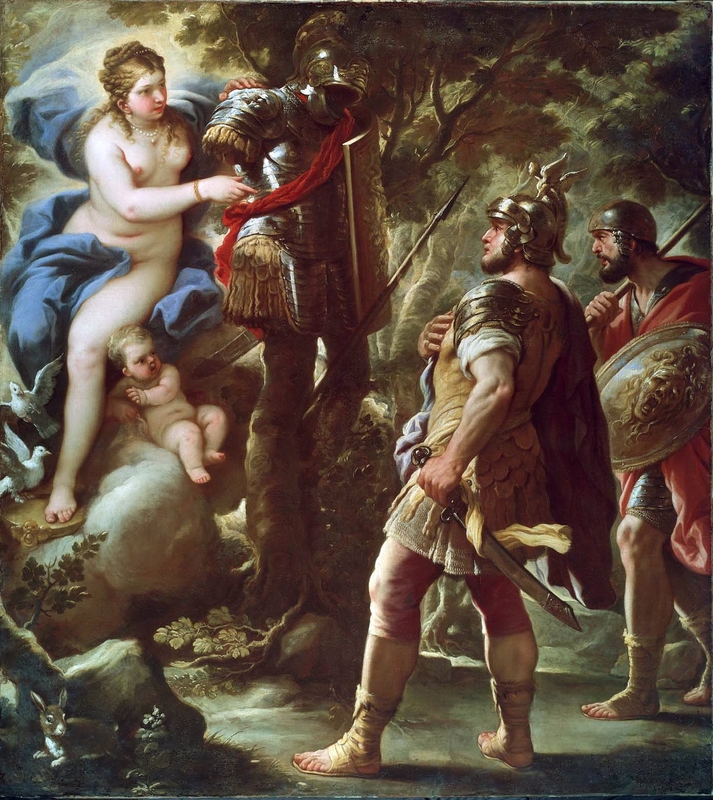 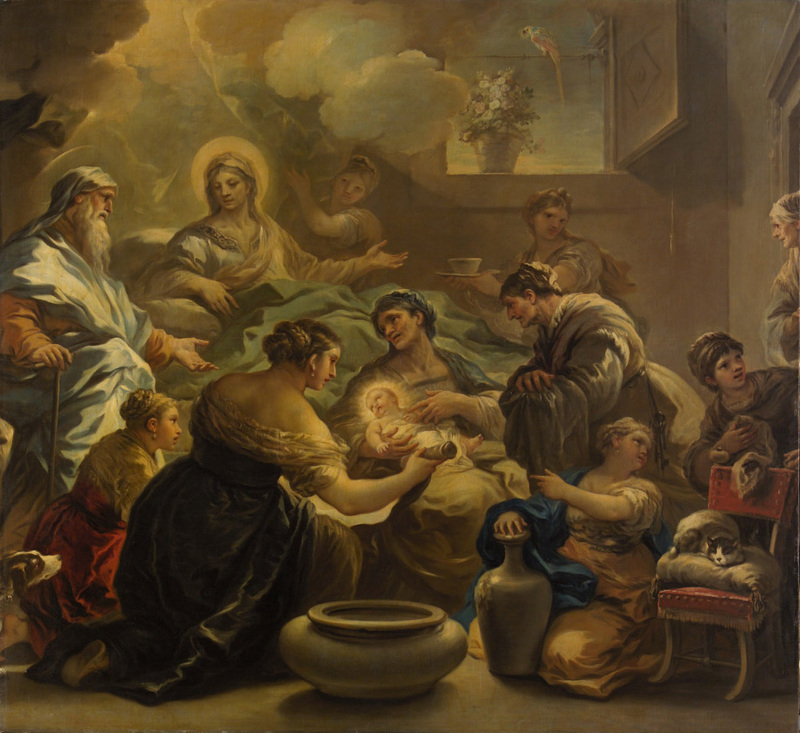 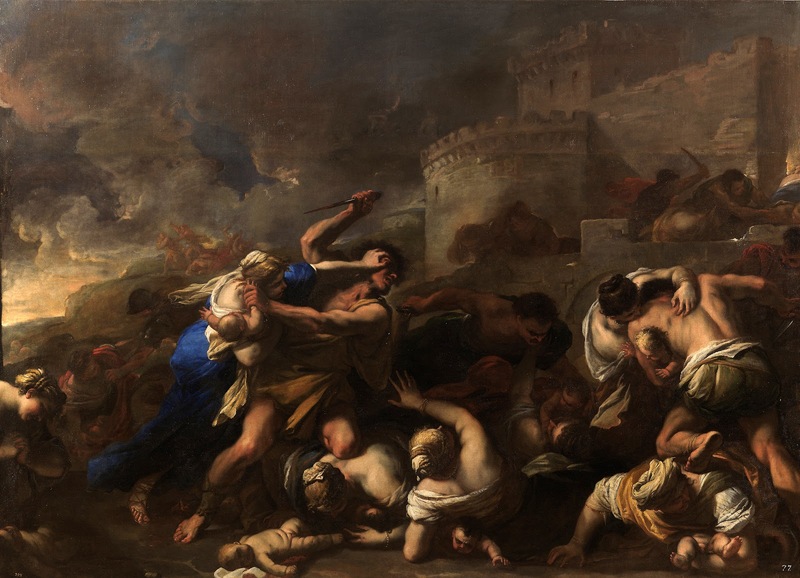 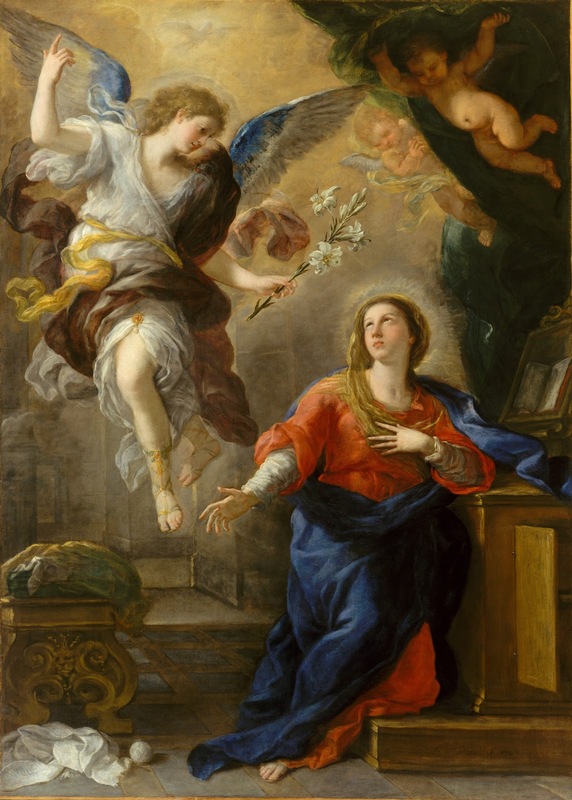 His work influenced developments in 18th century art in Naples and elsewhere in Italy. 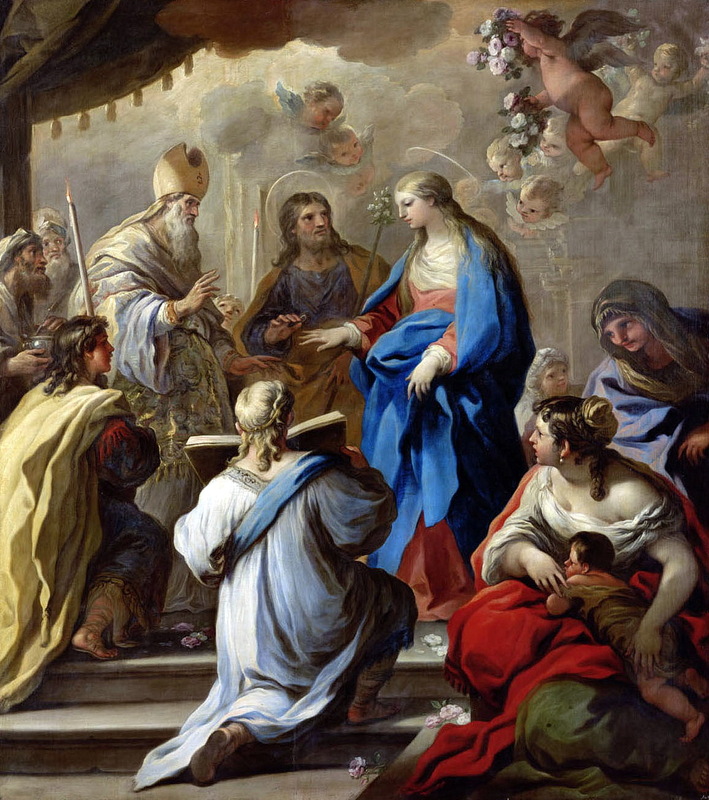 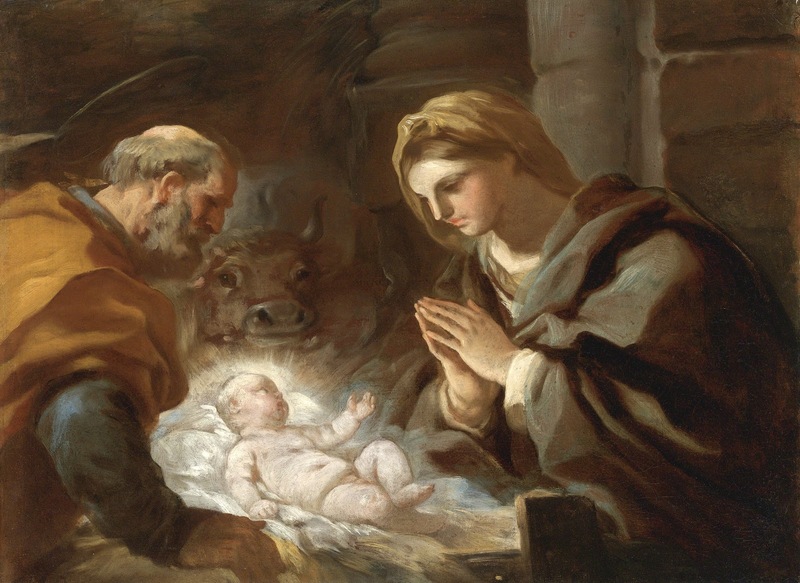 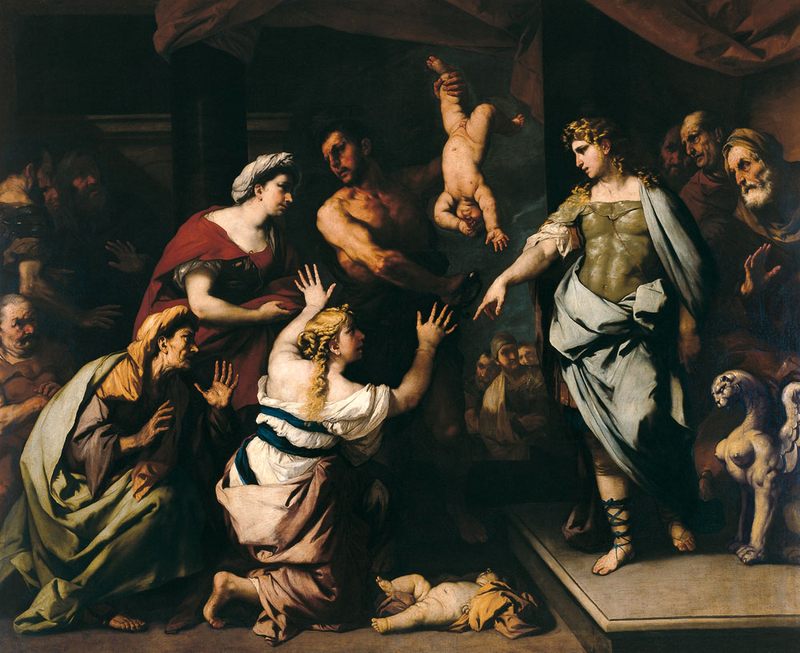 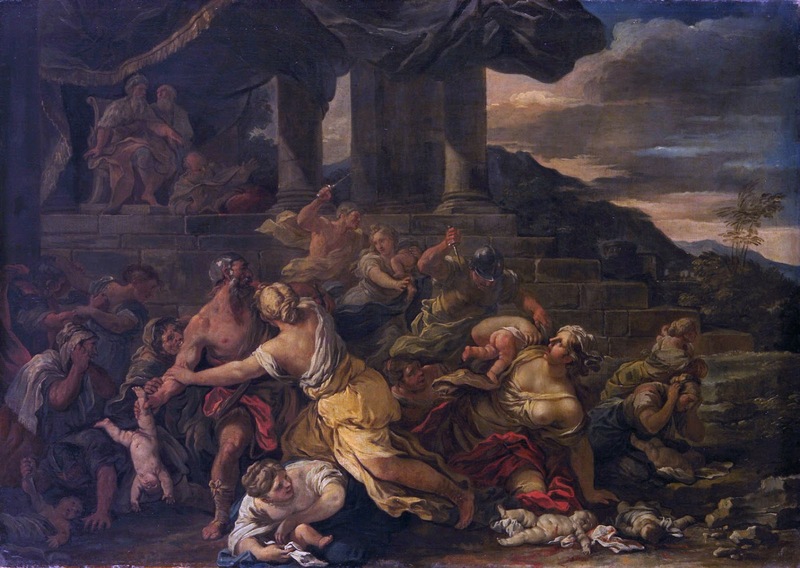 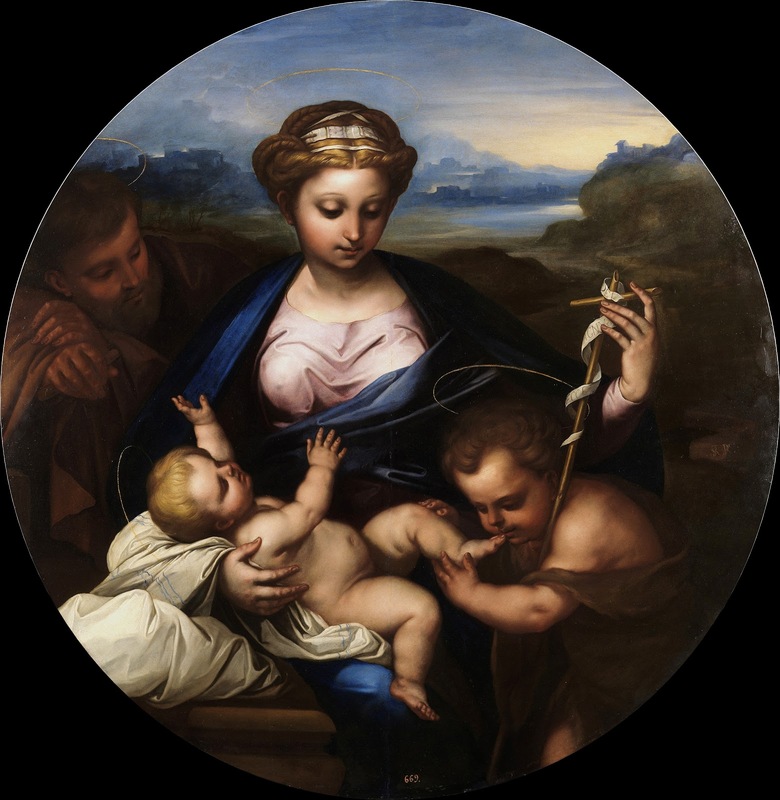 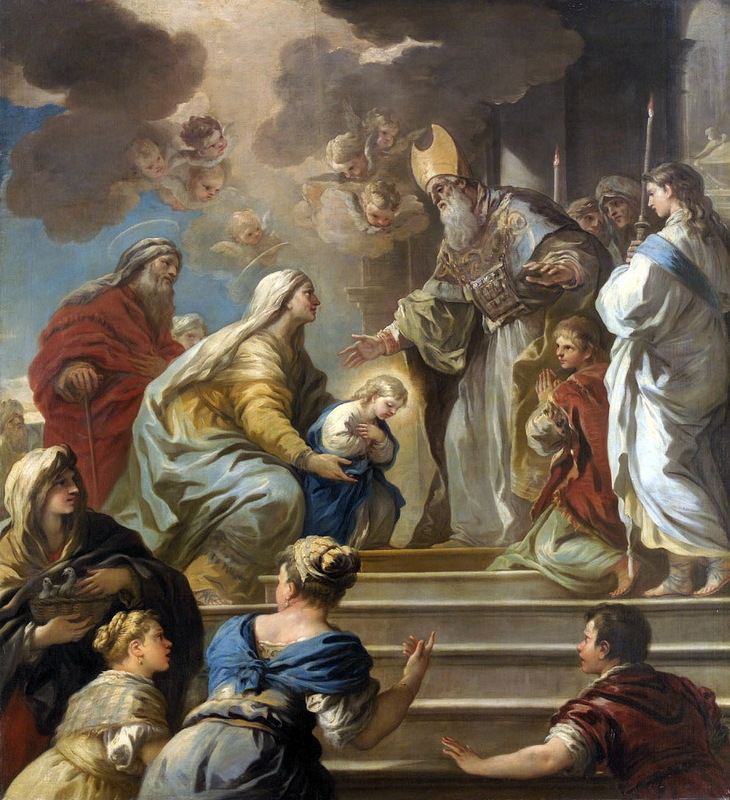 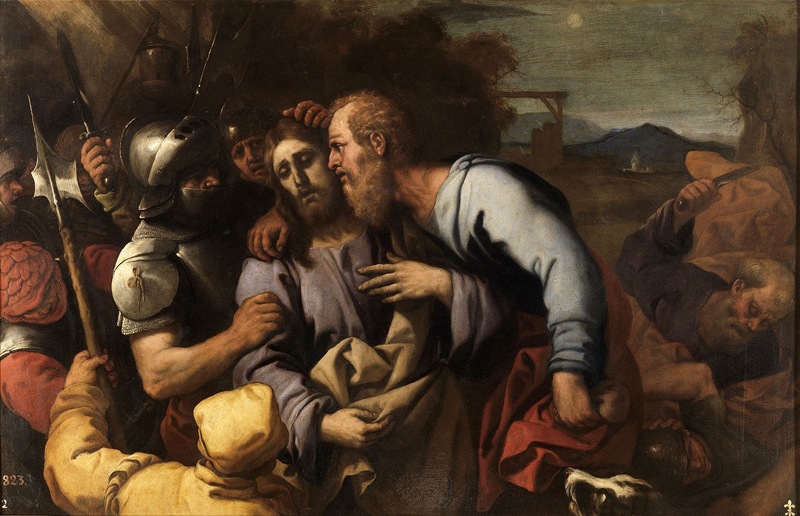 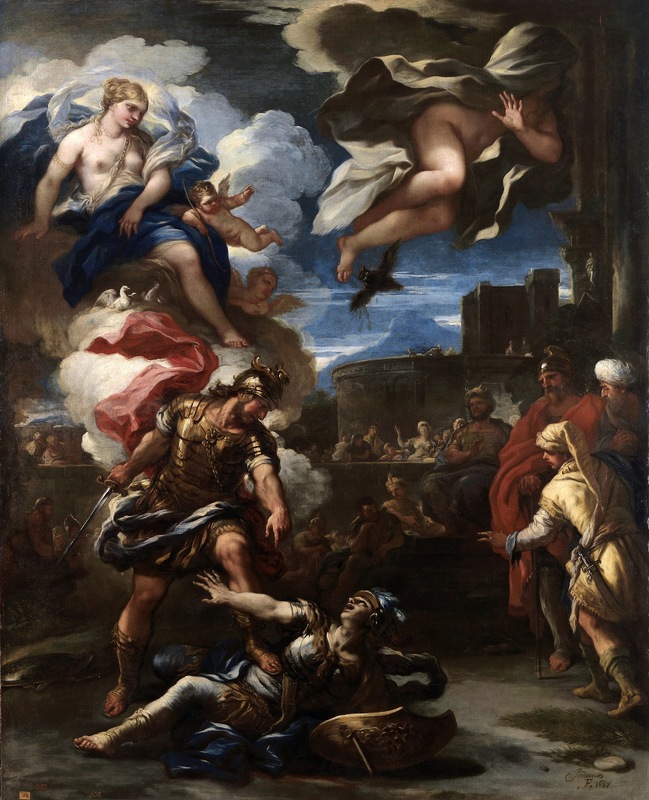 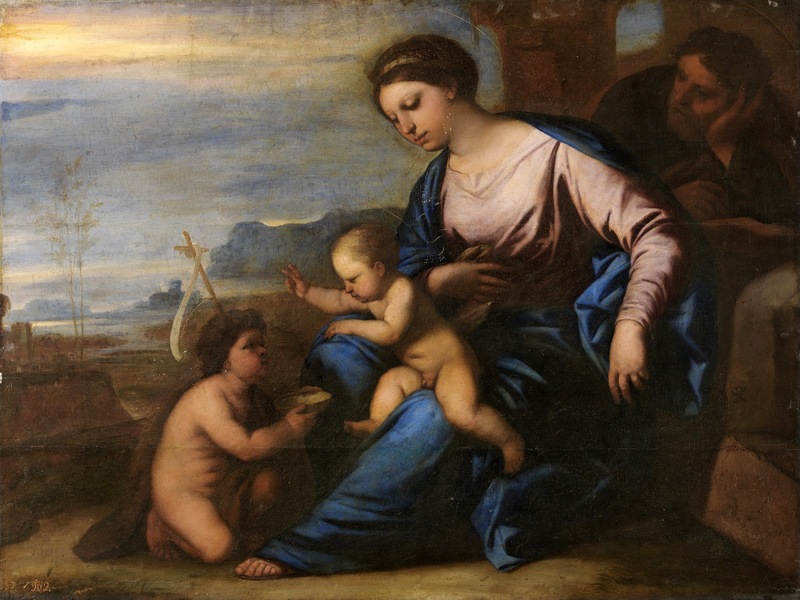 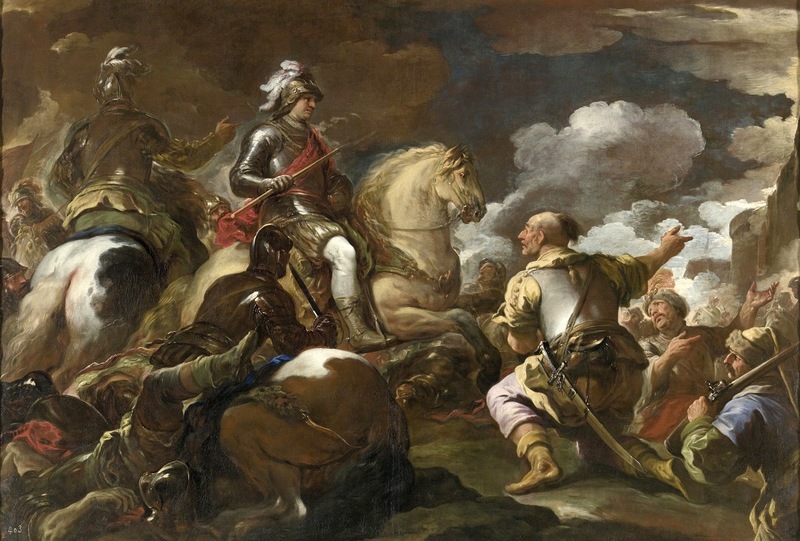 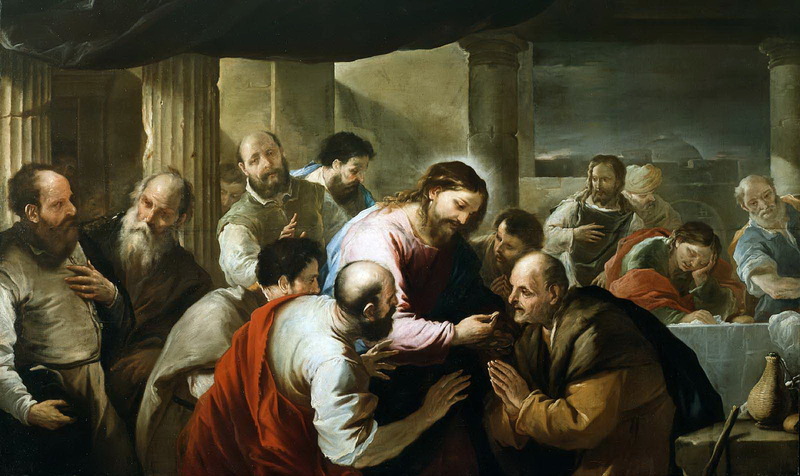 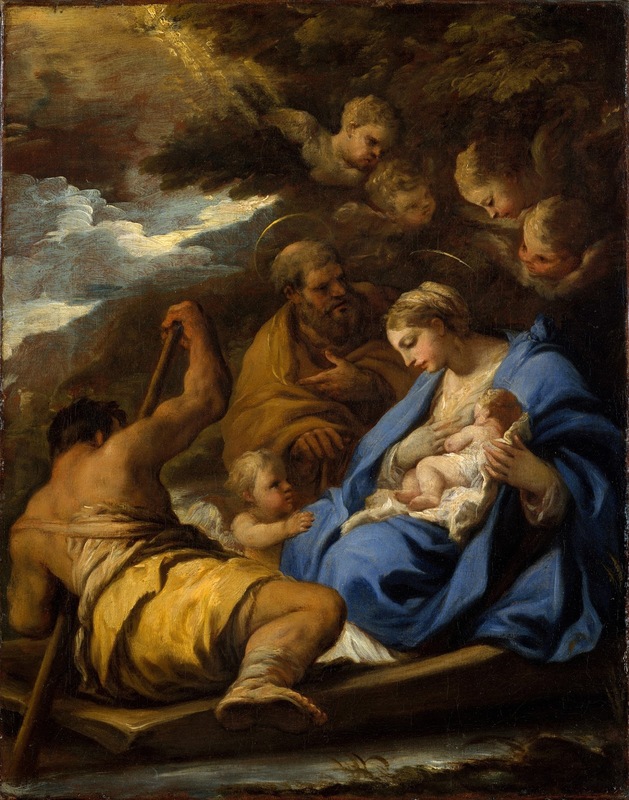 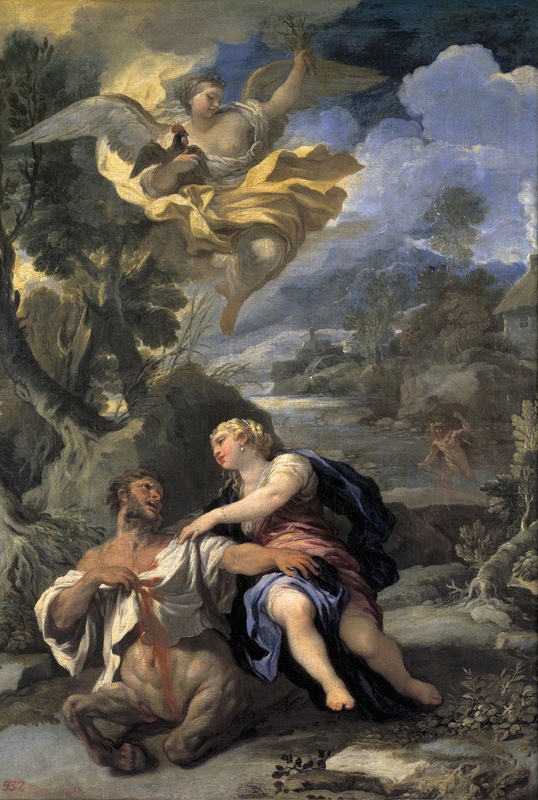 His style was formed by his experience of Neapolitan art (dominated by the work of Caravaggio**), and by his knowledge of the leading Roman painters of the early 17th century notably Annibale Carracci**, Pietro da Cortona, and the great Venetian artists of the 16th century. 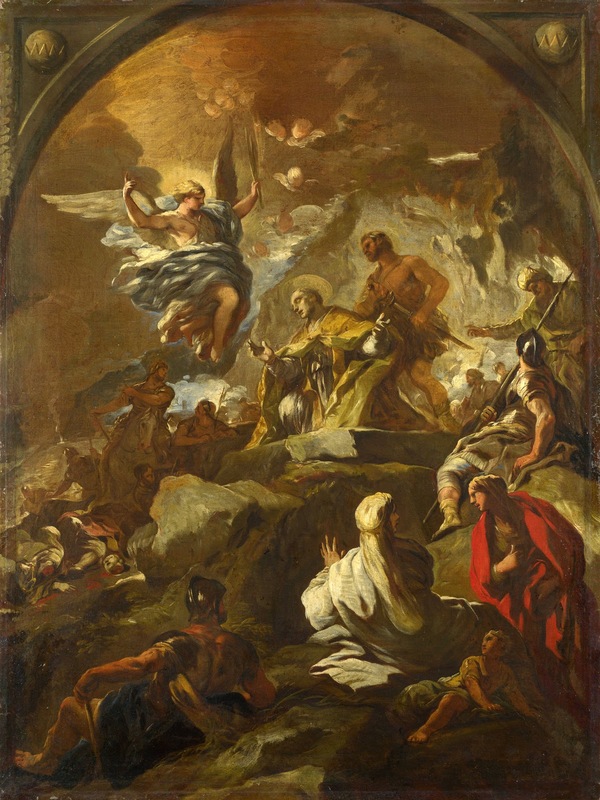 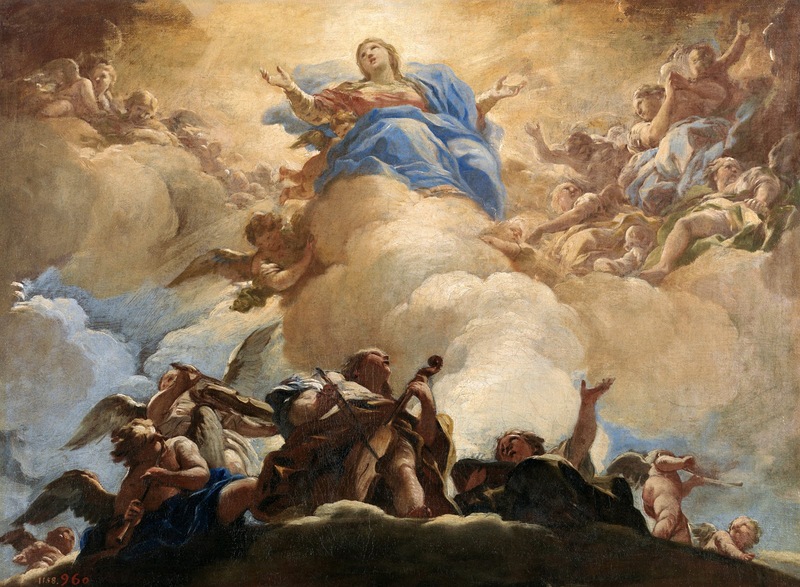 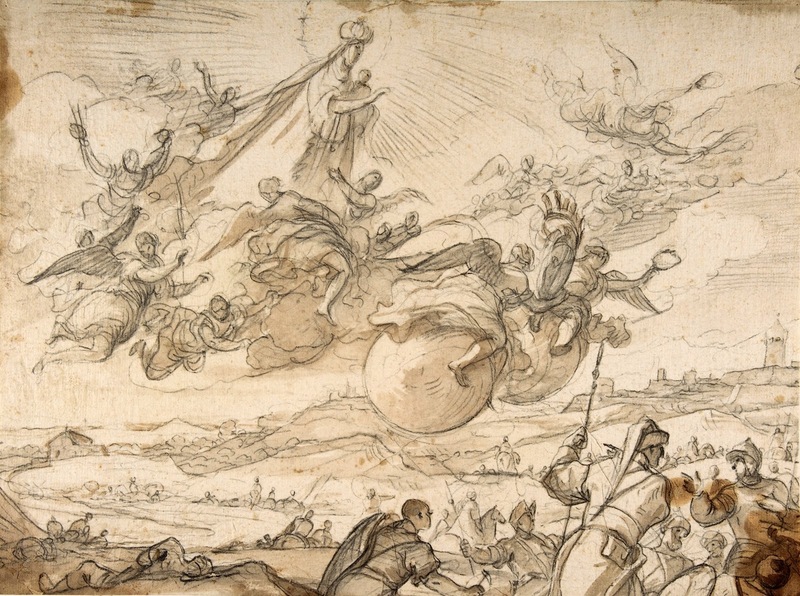 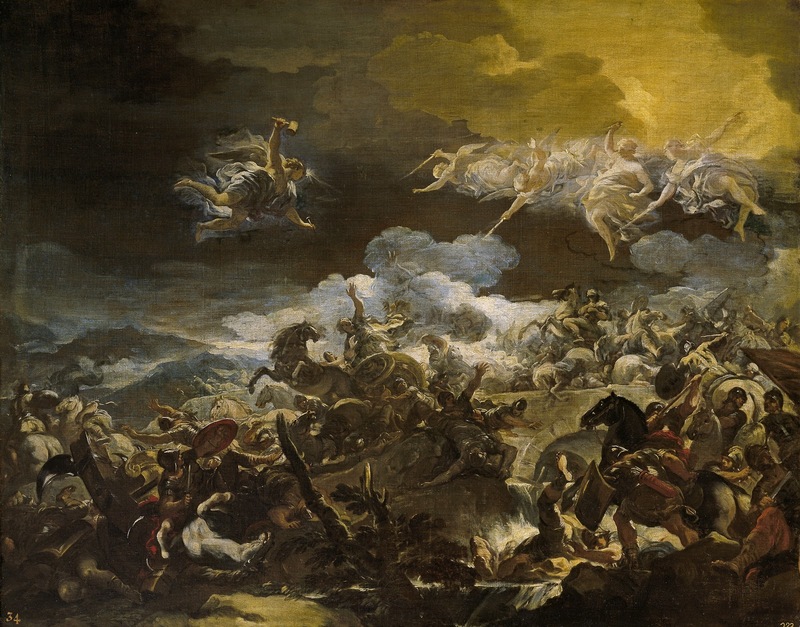 This style was well adapted to express the drama and pathos of religious and mythological subjects in large-scale canvasses and frescoes, such as the 'Apotheosis of the Medici', Palazzo Medici-Riccardi, Florence. 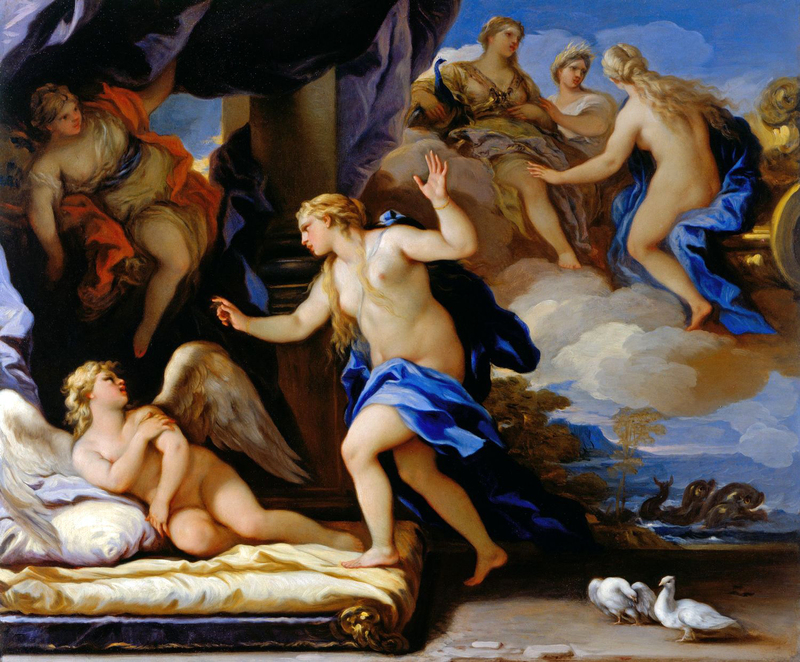 Giordano was active in Rome, Venice (1667), Florence (1680-2) and Madrid (1692-1702), as well as in Naples. 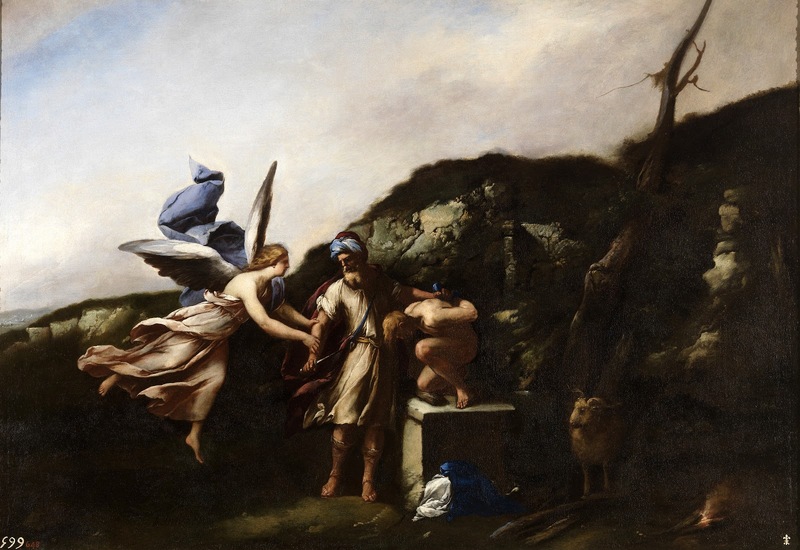 | © The National Gallery, Trafalgar Square, London.